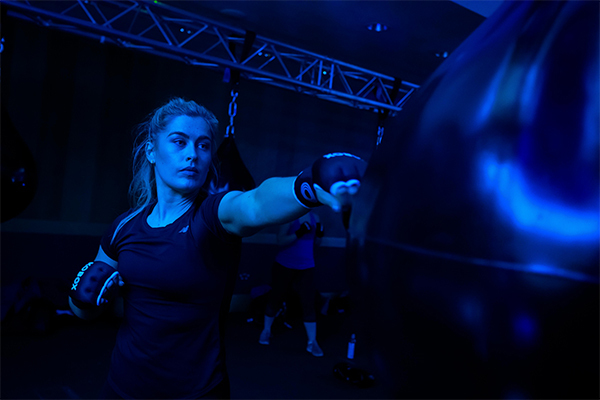 With a plethora of high-profile celebrities among are fans, including Rosie Huntington-Whitely, Jourdan Dunn and Guy Ritchie, KOBOX has changed the game in the way it delivers high energy, boxing-based workouts for everyone, regardless of their fitness levels or boxing experience. It will not only be the most fun cardio session of your week, but also the most educational. • It is a punch-by-numbers system to make it as easy as possible to learn and master the sweet science of boxing. Six punches. Six numbers. • These numbers are then arranged to form a series of boxing combinations which are projected on to the studio wall, making it easy for newcomers to get to grips with the basics.